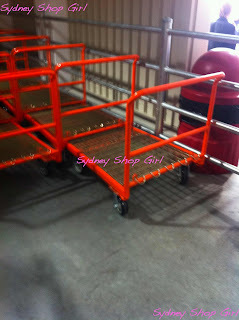 Sydney Shop Girl: The SSGs Take A Day Trip to Costco. 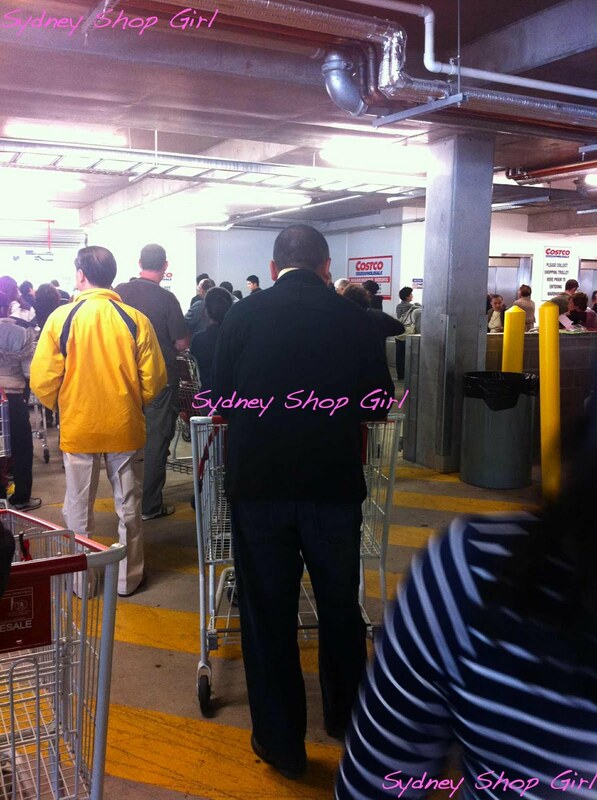 It's almost 2 months since Costco opened in Sydney. Mr SSG and I thought that this was more than enough time for the traffic stopping frenzy to have settled down enough for the pair of us to make the trek down the M4 on a Friday morning. We got it half right. The traffic was a breeze. But finding Costco was a little harder than I had anticipated. There's something peculiar about the way buildings are numbered down Parramatta Road. It almost seems random. We finally got there though, about 10 minutes before the 10am weekday opening time. 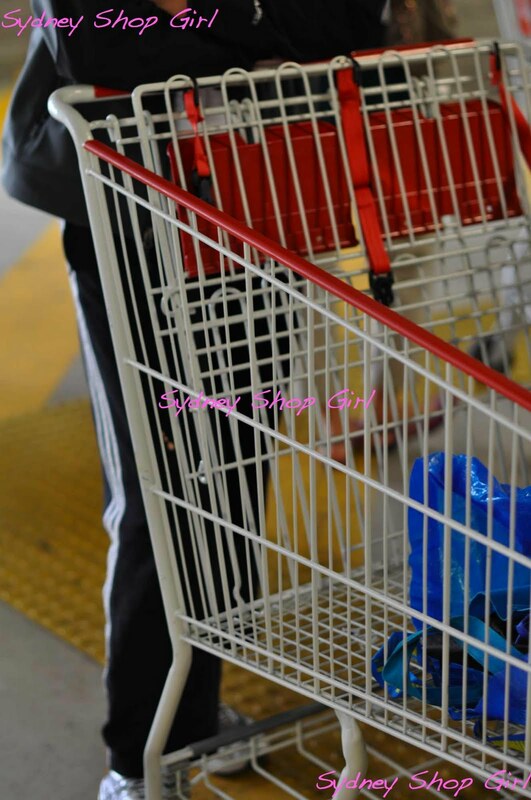 This is Mr SSG modeling a standard issue Costco trolley. We advise traveling to Costco in pairs because though the trolleys could house a small nation, they are also very difficult to maneuver. Empty or packed to overflowing. Oh and bring your own shopping bags for later. This was the line from the basement parking lot. There were people all the way up the 3 ramps to the front entrance. 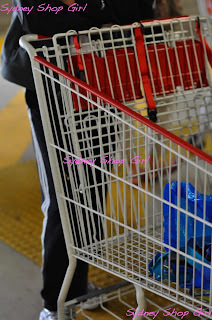 Having a trolley is a condition of entry into the store. As is your Costco members card. For crowd control purposes, members may only bring in two guests per visit. There were industrial sized flat trolleys for those that way inclined. I was so pleasantly surprised by the whole Costco experience. 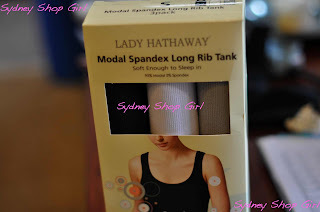 Yes it is warehouse selling of products in bulk quantities and there is a list of rules but there were plenty of staff and they were all helpful and friendly. The entrance to the warehouse was well organized. There was an area for returns and exchanges, a place to get your photo taken for your members card and then a separate entrance for regular customers. It is true that Costco sells practically everything under one roof. Value packed Elizabeth Arden skin care. 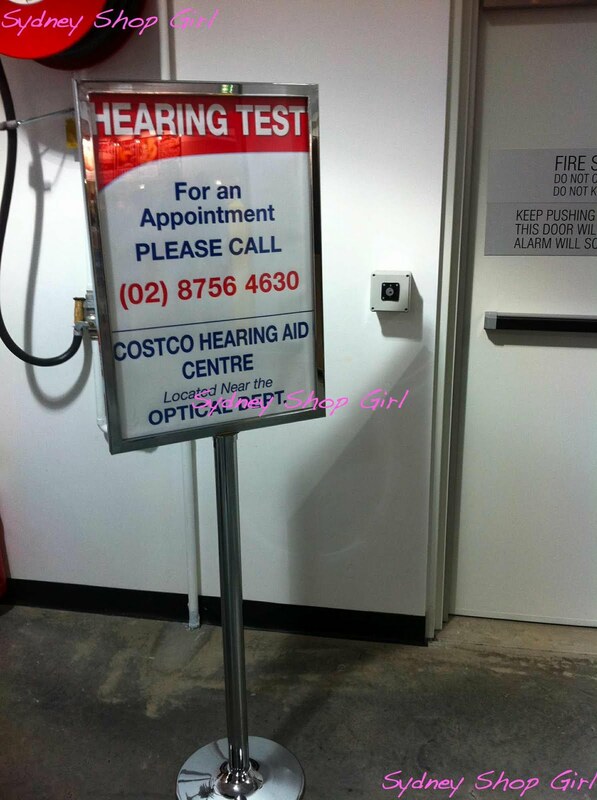 Hearing aids as well as an optician. Tyres and tyre refitting was back on the ground floor by the way. Both branded and in house clothing was available for men, women and children. There are no change rooms and the clothes are more staple items then special occasion wear. Besides Ralph Lauren, I also saw The North Face, Osh Kosh, Lucky Brand and Adidas. I didn't look too closely but there was a good range of sizes in all colours for each type of clothing being sold. There were also tables stacked with current release books at around 20% below retail. Lots of cook books and coffee table tomes as well. The only things I didn't see were newspapers or magazines. It was a bit of a surprise to see food sampling stations in a warehouse. 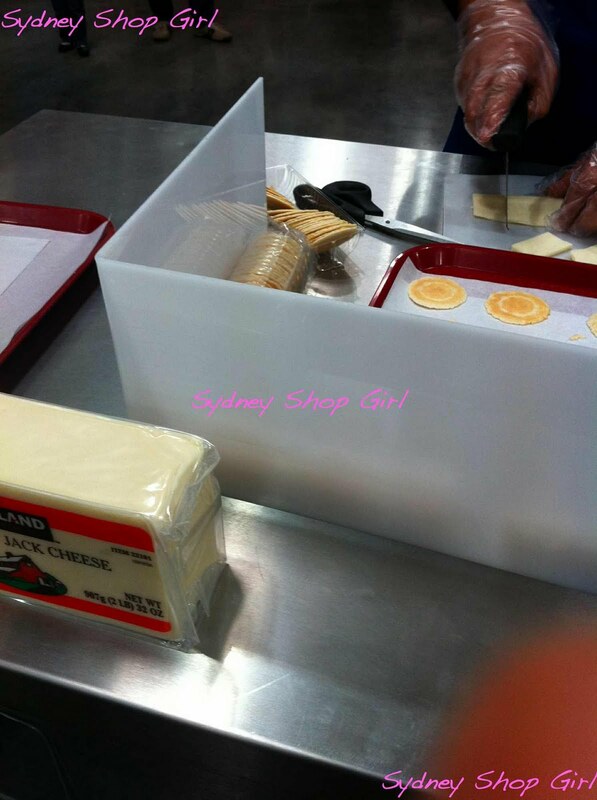 We stopped for a bit of American Monterey Jack cheese after making it through one third of the aisles. Note that the trolley is actually already full at this point. Sadly there was no bright orange American cheddar or Chex Mix available. 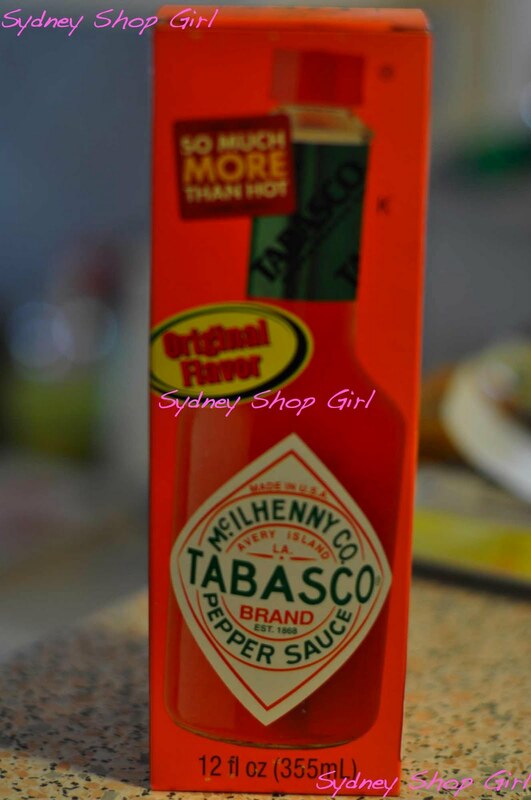 Perhaps the bright orange was deemed too 'unnatural and foreign' for the Australian market. 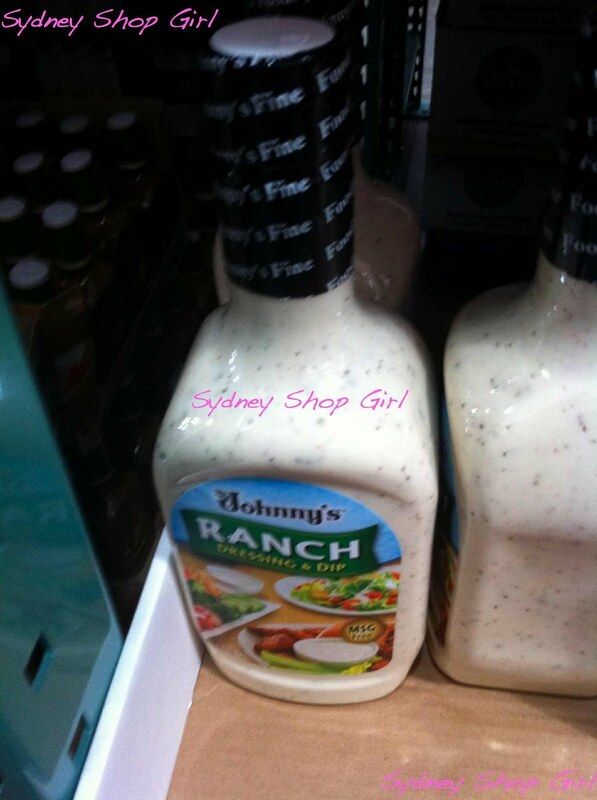 There were classically American things like ranch dressing and various marinades. I'll go into what I bought in the regard in later posts. This post is already going to be too long as it is. For now, some words on the brands available. 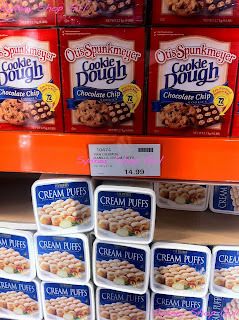 Costco manages to sell both its own brands as well as the more familiar household brands we're familiar with. Vegemite is Vegemite made by Kraft and not some in house 'premium' brand that the likes of Coles and Woolworths are now pushing with such vigour that companies like Heinz are openly complaining about the tactics of this Australian duopoly. Consumers have a choice at Costco and they are reacting very positively from the volume of sales I saw today. It took a bit of adjusting to get used to the size of the items. That's nearly a kilo or potato chips in a single bag. The frozen goods area was interesting as well. More American goodies as well as individual bowls of frozen wonton and dumpling soups. The fresh food area was another pleasant surprise. You could easily come here first thing in the morning on the day of your picnic or party and providing you planned your times right, leave with everything you needed for your event. There were platters of chicken, seafood, sandwiches and antipasto all ready to go. As well as all the disposable cutlery you could need, right down to disposable coffee cups and toppers. The ready meal area made sure that every cultural group in Sydney was catered for - this is a snap of some Korean bulgogi and some marinated chicken pieces - called buffalo wings because we're in American retail land now. There were ice packed crabs, lobsters and oysters. 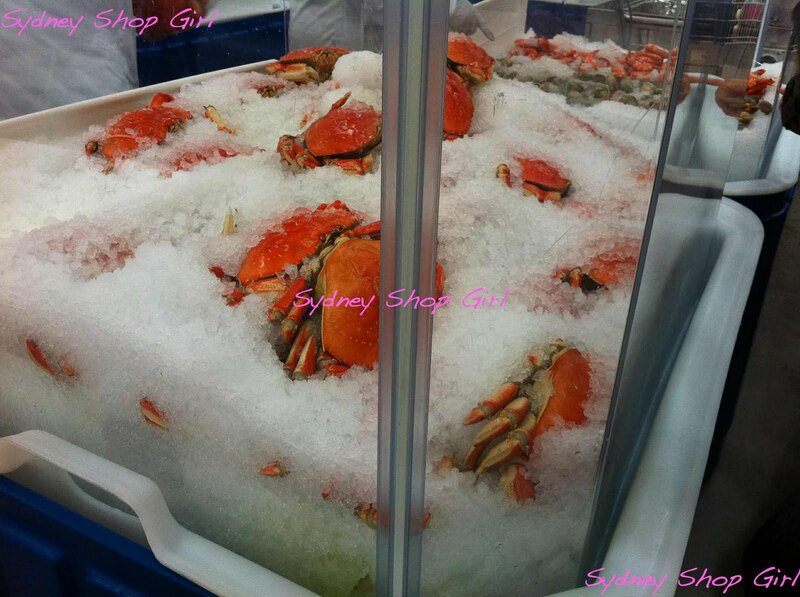 The entire area was spotless and looked more like a food hall than a warehouse retailer, the range and freshness were so impressive. There is a separate cool room for vegetables too. The baked goods all ran in bulk numbers per packet. 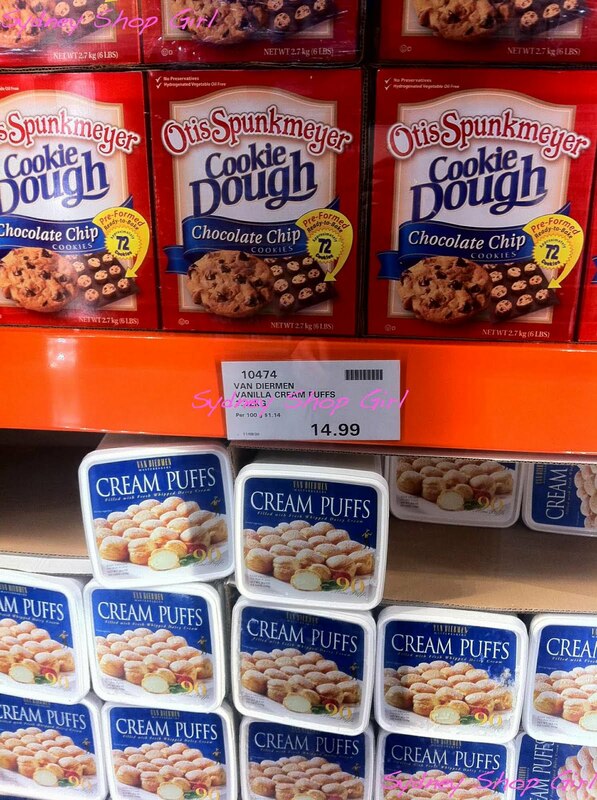 A dozen muffins or danishes for $12.99 a pack. 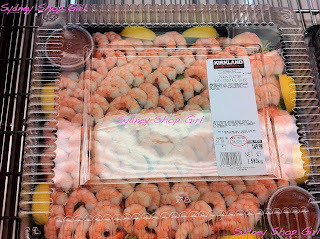 If my freezer wasn't already full of various nutritious home cooked meals, I would have bought these and frozen them. Again, there was a full range of goods from these standards to apple pies, mud cakes, iced cakes and other desserts. The breads were super market brands but mostly sold in pairs of loaves for around $9 from memory. 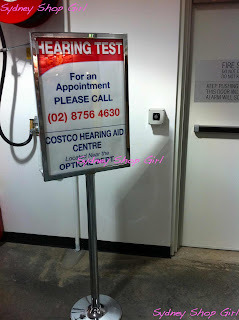 Have you heard about the liquor area at Costco? I hadn't realized that this even existed before we visited. The range is a mix of in house and popular brands. 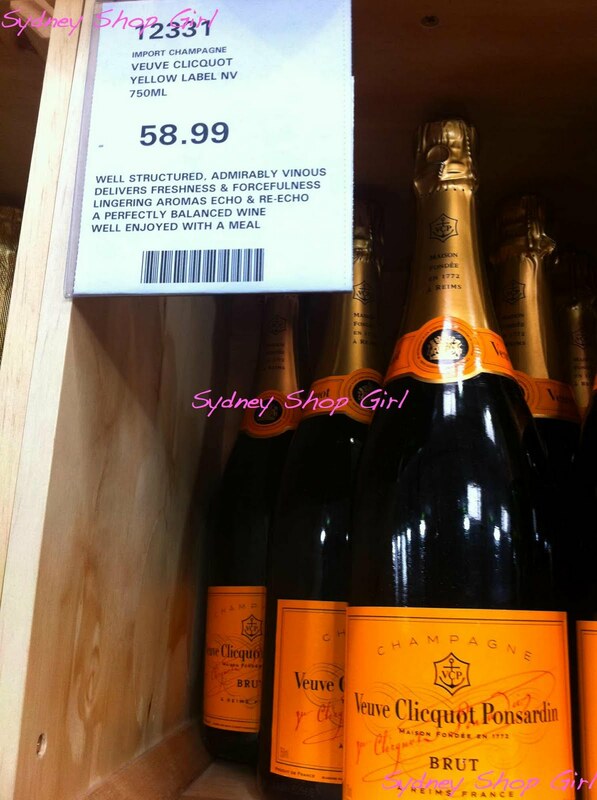 That's right, Veuve at a regular price of $58.99. 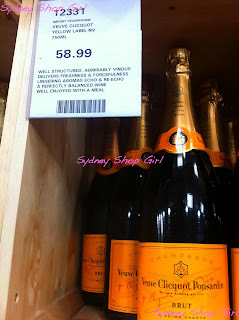 Per bottle and no need to buy by the dozen or half dozen to get the discounted price. Most of the range we saw (many Australian wines also available) were at a similar discount of 25% or so compared to regular retail prices. Alcohol is paid for separately to your other groceries. This is what $1000 worth of groceries from Costco looks like. We will not need to shop for another 6 months at least. Checking out was surprisingly painless. There are at least a dozen check outs and there are 3 staff members per station. One unpacks, one scans and the third packs. Don't forget to keep your receipt as this is checked at a separate point just as you leave. Costco send out these emails of coupons that you can download and print but it's not actually necessary to do so because the discounts are automatically registered at the checkout. We worked out that it was easiest to wheel the packed trolley to your car and then repack stuff into your own shopping bags as you go. Yes, there is a cafe and I think you're allowed to bring food in to the general retail area. It's not like Ikea, more open air, but the prices are pretty good. There was no free tea or coffee for card holders.... but if you get to buy champagne at 25% below retail, you do tend to overlook these things. 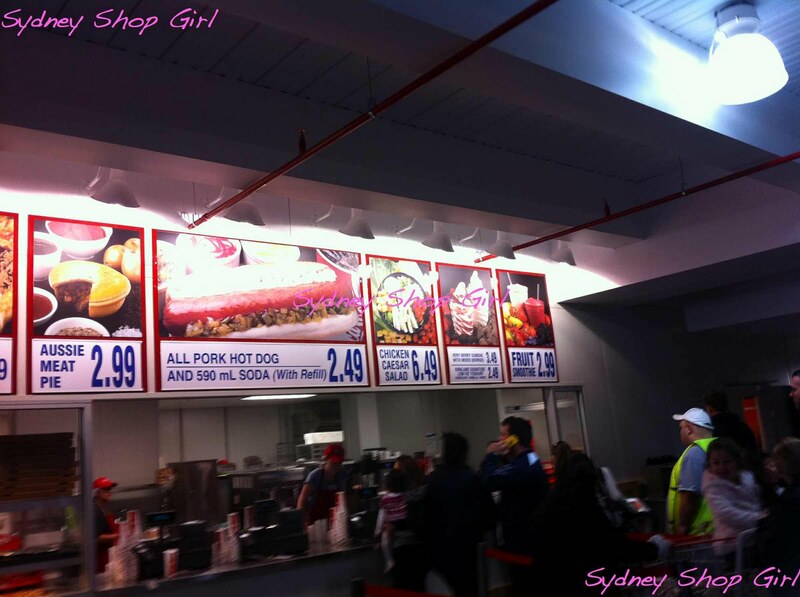 We didn't stay to get a snack but those prices look pretty fair. Despite the crowds, everyone was happy. There was a feeling of camaraderie amongst us shoppers that I have never actually experienced anywhere else in Sydney. 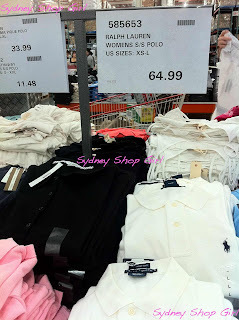 And I've been to both Aldi and the annual DJs clearance on the International Womens' Designer floor. Everything that was advertised as being on special in the discount email was ... in store, in plentiful amounts and not shop soiled. In case anyone was interested, I thought I'd just run through a few things with prices. To be honest, I think most households would get good value out of the $60 annual membership fee. See what you think, though. 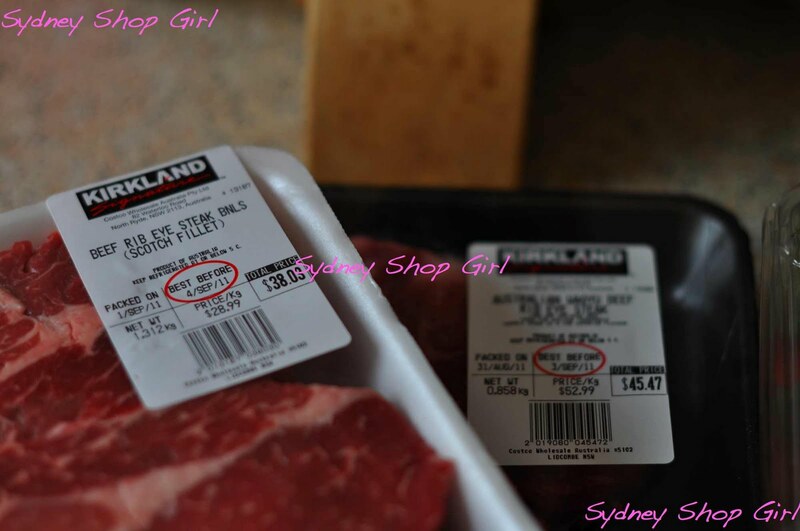 From the meat department - Wagyu beef at $53/kg and Scotch Fillet at $29/kg. We cooked the Wagyu for dinner on Friday night and it was divine. 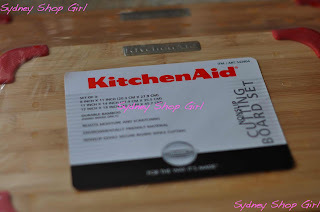 There was quite a lot of KitchenAid stuff available too. A complete set of kitchen scissors for every conceivable culinary cutting situation. These cost $18.99. 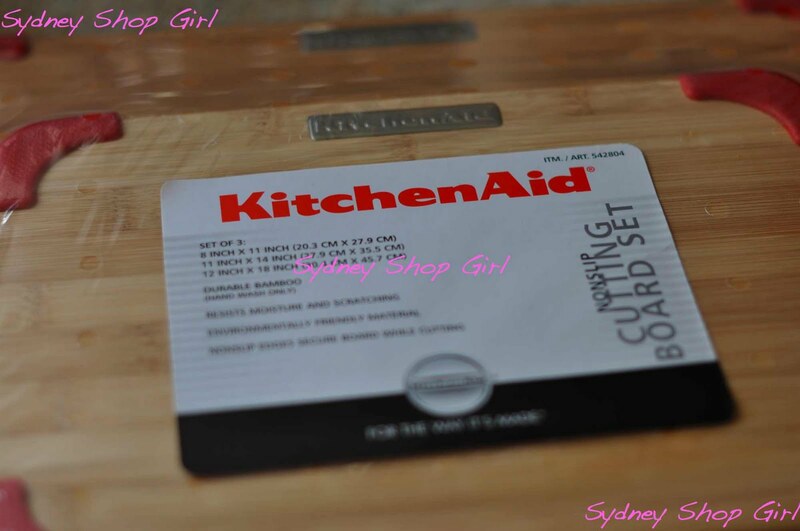 A set of 3 bamboo cutting boards with non slip corners, $39.99 - green, red or black. They are pretty lightweight too. 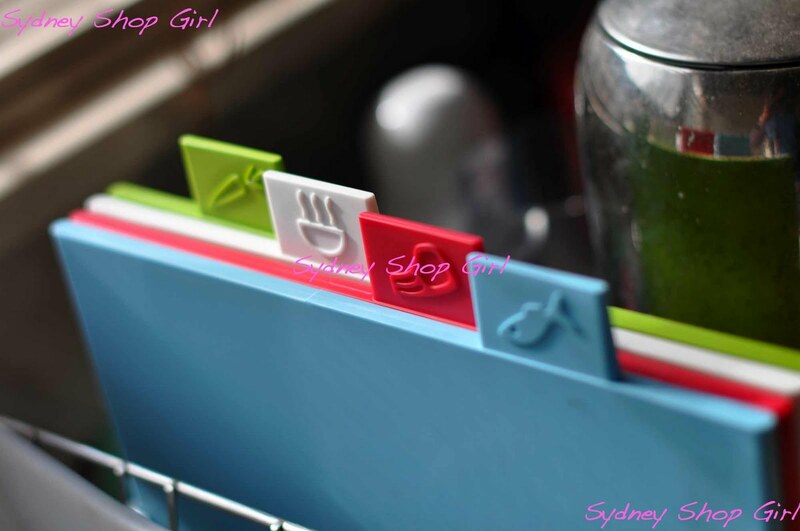 Plastic chopping boards for different food types, $27.98. Ahem. All this chocolate is for work. We get through a lot of it as part of team building and debriefing. Hope I get all the prices right because I'm getting cross eyed reading my receipt for 62 items. 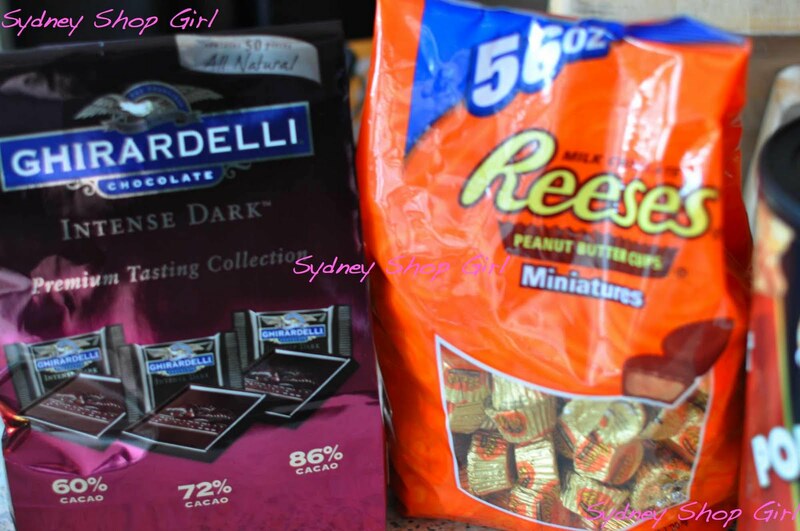 The bag of Ghiradelli dark chocolate squares cost $9.49 and the Reese's Mini Peanut Butter Cups, $9.99 for a 1.5kg bag. 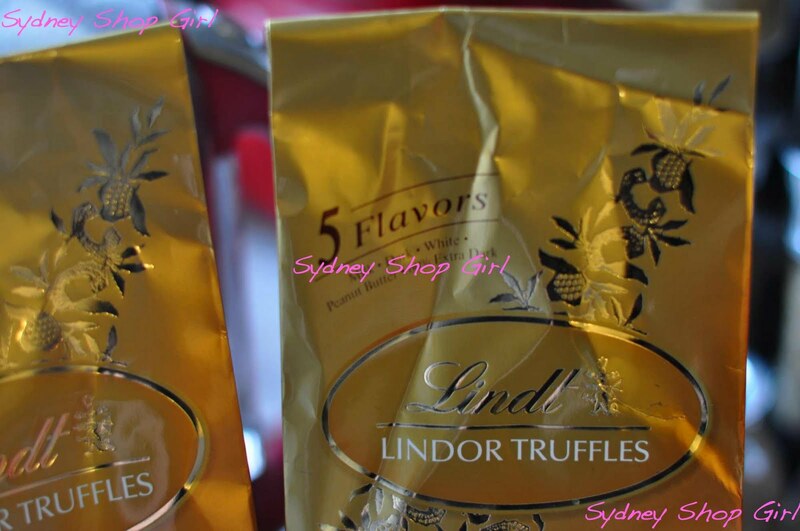 My personal favourite are these 50 piece bags of Lindor balls - $12.99 per bag. The best bit? Peanut butter is one of the 5 standard flavours in a mixed bag in the American market!! I couldn't leave these bargains behind either. 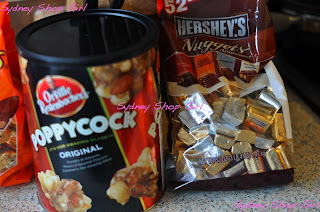 An 850g can of Poppycock popcorn for $6.99 and a 1.5kg bag of Hershey's Nuggets for $14.99. Even at my workplace, this will be enough chocolate to last us until Christmas. It wasn't all reckless chocolate buying though. There were some great deals on dried berries which are notoriously expensive at the supermarkets. 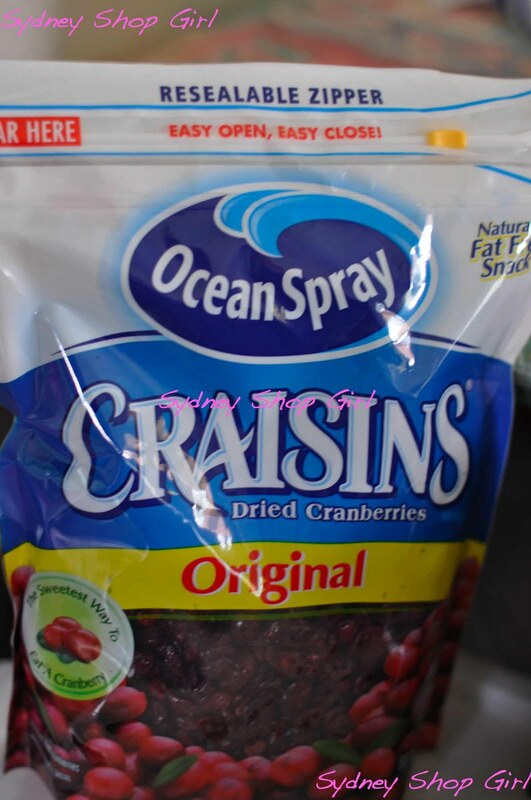 1.36kg of craisins cost $9.39. These bags of dried berries are around a half kilo each. 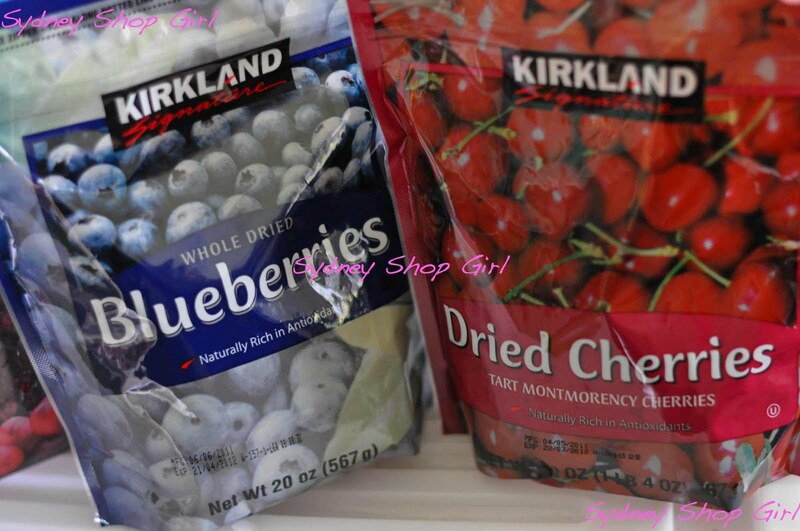 The blueberries cost $10.59 and the cherries $7.99. 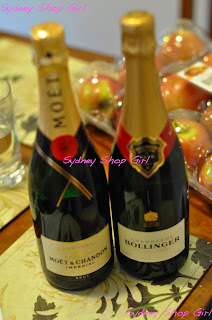 $100 worth of champagne on a dining table in an Australian house that wasn't bought duty free. A Kodak moment or what? Champagne wise, a bottle of Moet cost $44 and Bollinger around $56. 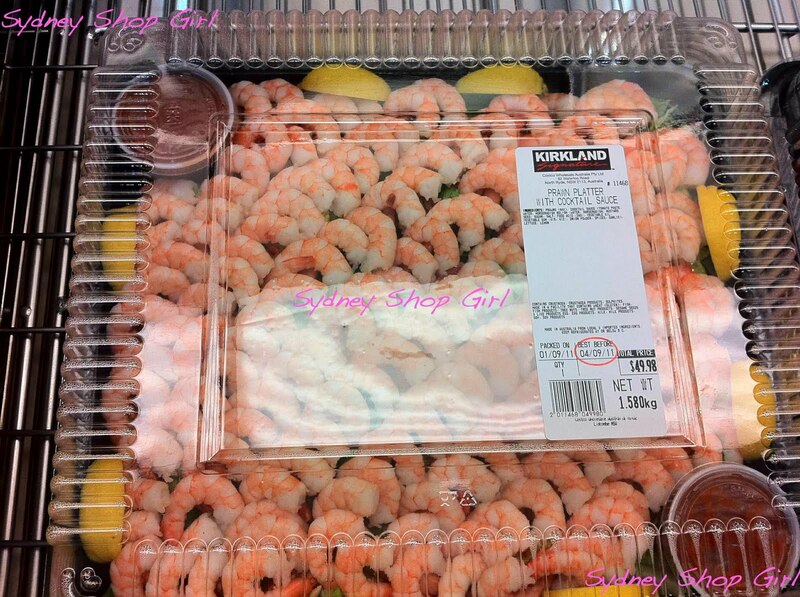 In the background are a dozen Australian Fuji apples for the grand total of $10.99. 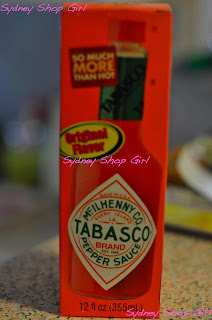 All the Tabasco you'll ever need (355ml) for $5.99. 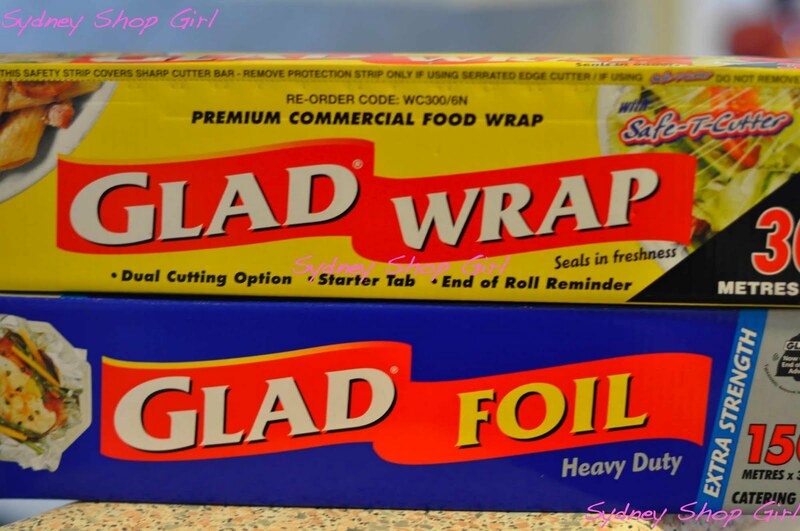 Mr SSG and I officially became our parents' children with the purchase of catering sized rolls of Glad Wrap and Glad Foil. These were around $10 each and have those fancy cutters built into the box. 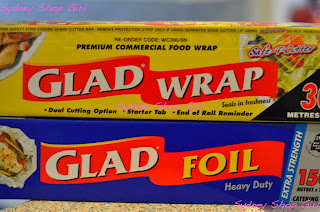 Note that the foil is Heavy Duty which is the only strength Chinese families use for the wrapping of care packages of barbecued pork or to cover plates of noodles to keep them warm in transit to a child's kitchen table. I'm thinking of sending my mum a copy of this photo of the side table in the store room. 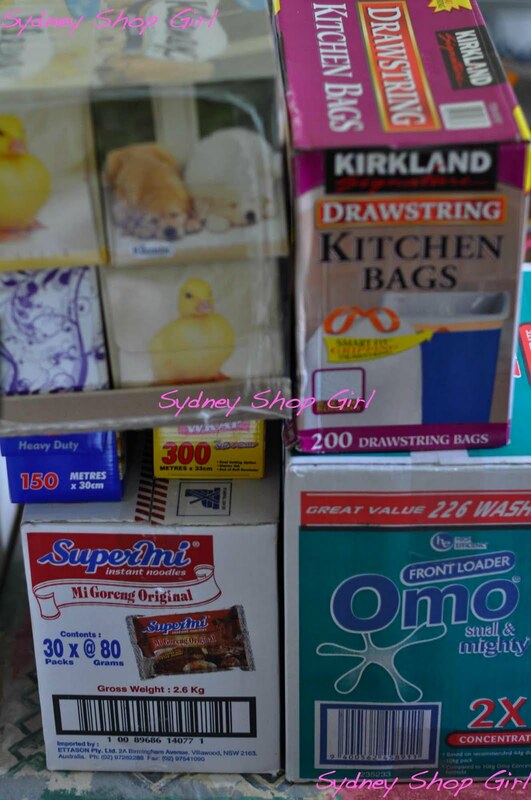 I think she will be reassured that I have learned and applied the lessons of thrift and buying in bulk only what you will need and use in a timely manner. 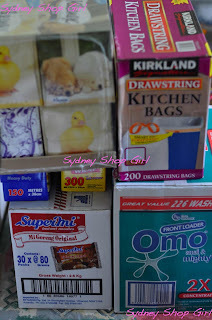 I alluded previously to the wide range of personal care items available at Costco and how much of what is sold are already popular household brands in Australia - just in bigger sizes. Here's an example of what we found. I won't go through everything but the Venus shaver with 12 blades cost $41.99. 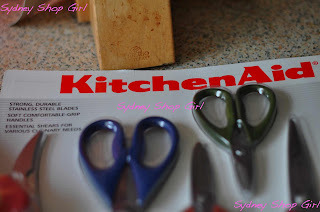 I seem to remember packs of 4 blades alone costing around $18? The electric toothbrush heads cost $39.99 for 10 heads. Four are usually close to $25. I was interested in trying some of the house brand clothing. These tank tops cost $14.99 for the set of three and came out of the packet without a crease. They are a pretty solid make too. I will see how they fare in the washing machine and report back. Any item of clothing that is 'Soft Enough to Sleep In' always piques my interest. Last photo, I promise. 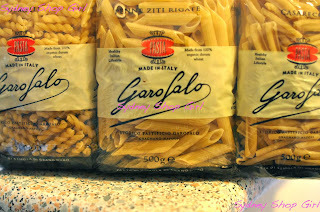 Mr SSG found this 6 pack of 500g serves of organic pasta all the way from Italy for $9.99. It took me half a day to unpack and then find spots for all the stuff we bought. We did spend a ridiculous amount of money but we definitely got at least $60 worth of savings in a single shopping trip. 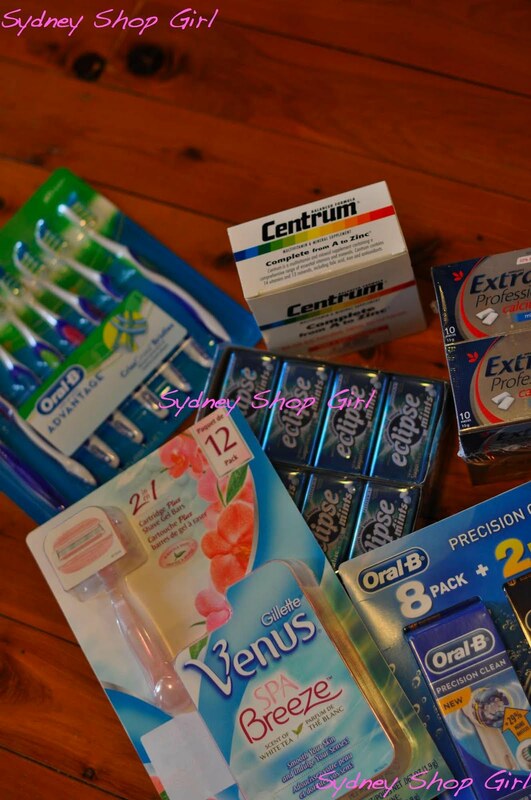 SSG Manor is fully stocked with its preferred brand of practically every household item known to man. We will survive should the supermarkets decide push ahead for with their plan of filling their shelves only with house branded items. 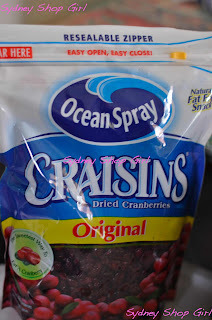 I also welcomed a little North America into the house by way of packets of food weighed in oz and curiously spelled words missing the letter 'u' here and there and the odd 'z' in other places. The house just hadn't been feeling the same affinity for American culture since I've kept missing Glenn Beck in the evenings, the Real Housewives franchises and Fox News. I haven't been to Costco for a few months. For good reason. 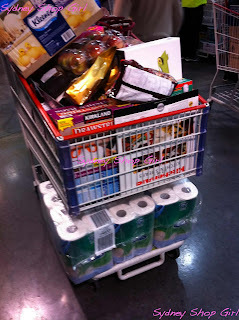 I swear the Costco fairies take over and you end up being copious amounts of CRAY CRAY for no earthly reason at all. i'm really, really jealous. 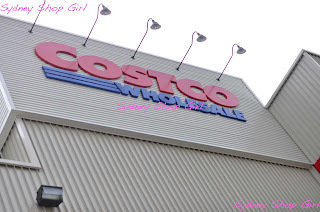 being an american who used to shop at a similar business (we have Costco but one called Sam's is in my hometown) only a bi-weekly basis i miss it!!! it's so... convenient for the things i just run through like paper products and cereal! You can get the bright orange American Cheddar! It's right next to where they have the samples of the monterey jack. 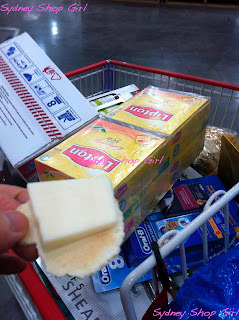 I went to Costco a few weeks ago and it was SO busy and it seems like it was just as busy when you went. I was surprised there were so many people there, especially as we went on a Friday morning after 10am. Great post loaded with info SSG. I remember visiting a Costco in LA in the mid-nineties and was blown away with the range of goods. Problem was we could only browse due to luggage restrictions for the flight home. 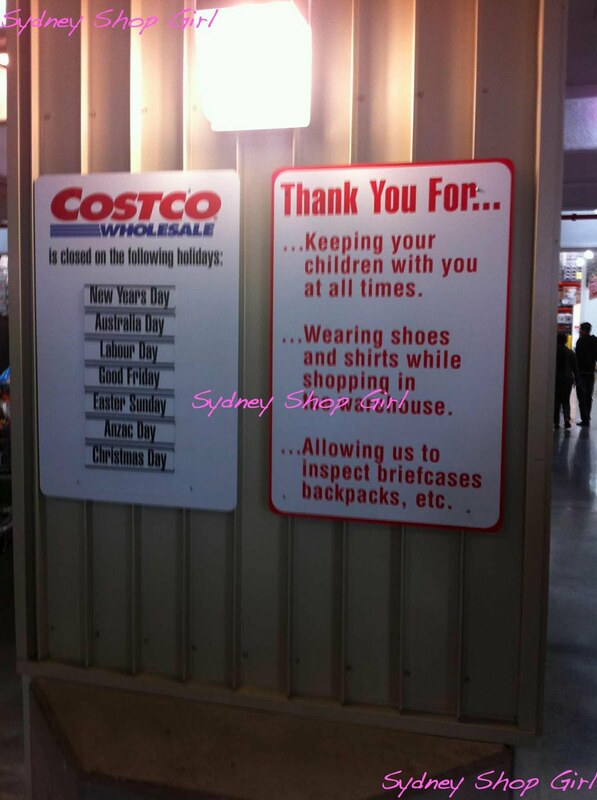 I wonder if Brisvegas will see Costco in the future? What a fantastic post! For someone who doesn't have a local Costco (Brisbane) but has heard whispers of what it might bring, this was a real insight! 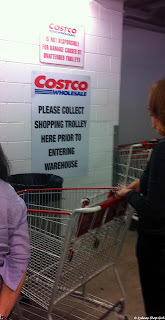 I will need to get my trolley arms in training as soon as I hear that Costco is heading north. 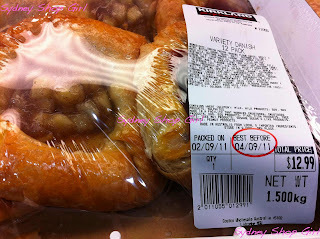 I also love your comment "became our parents' children with the purchase of catering sized rolls.." Very funny! Hmm, am seriously thinking of buying a membership when I'm in Melbourne and just buying kilos and kilos of Lindt balls (I heart Peanut Butter), Reese's PB Cups and Hershey. I'm sure I would get $60 of pleasure out of it. 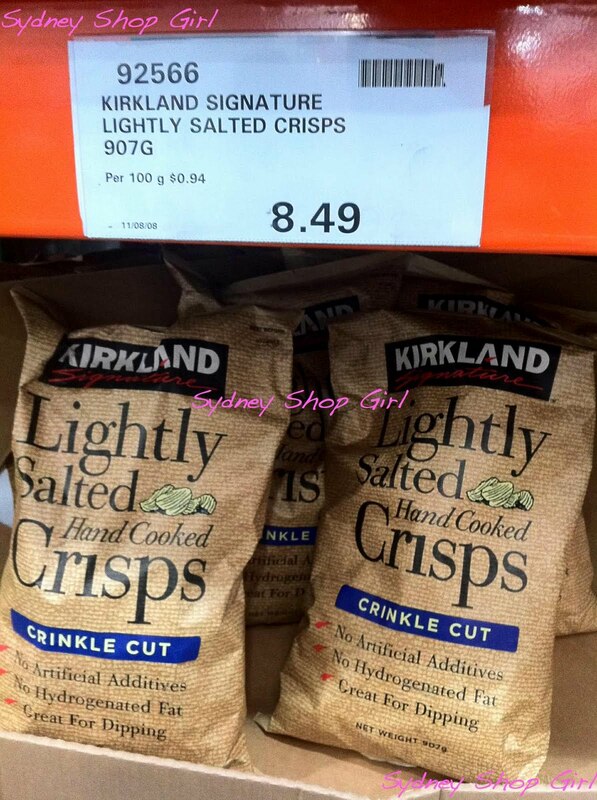 Costco have Ruffles chips! 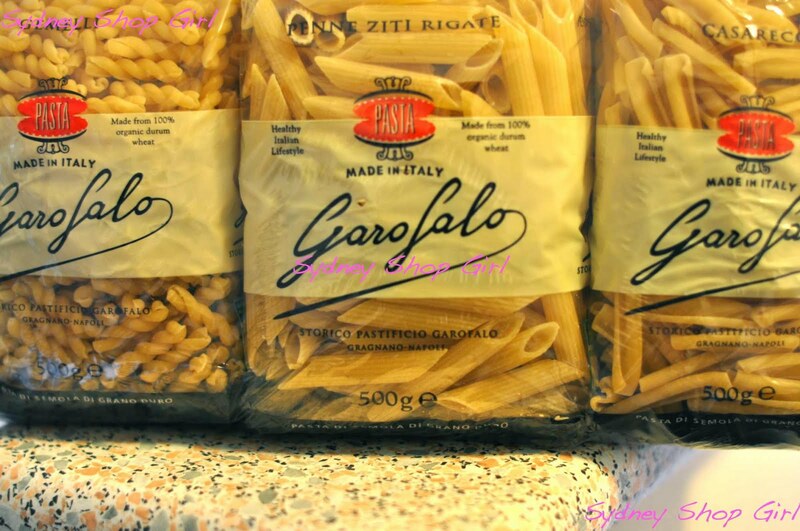 In 475g bags! I live in Brisbane but my brother likes to skype me while eating Ruffles and Poppycock popcorn. 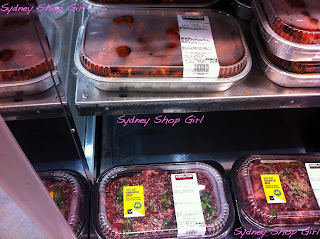 But wow, Costco do have a great fresh food section from your post. 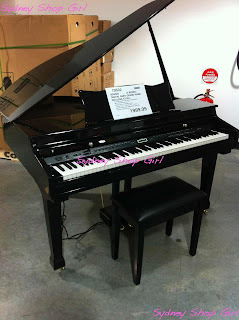 I wonder if Costco will ever open up shop in Perth. I read reports when the first Costco opened in Australia that they would not consider it until our very tight and inflexible trading hours were changed. So who knows if we'll ever see it? Although, it does prevent me from buying food that I have no storage space for. I visited Costco Sydney for the first time last week as well (on Tuesday, with my mum) and I bought those exact same tank tops! I've only worn the white one so far but it is extremely soft and comfy. Also, I wanted to say this earlier but I wasn't quite sure how - I'm very sorry for your loss and for the heartache you're feeling. I battled infertility for 10 yrs until I finally listened to the universe and embraced a child free life. And honestly? It's the best life I could wish for. Remember, it will all be ok in the end and if it's not ok, it's not the end. Finally, hubby and I are off to Hawaii in two weeks, partly inspired by your blog posts following your recent trip there. Shopping here I come! Sorry, also meant to say I've been reading (and loving!) your blog for over 6 months but have never commented before. Take care and thank you so much for your comments! I've become a convert to the Canberra Costco - nowhere else has genuine Prada handbags in Canberra! I find it hard to think that I would buy a diamond there but love the bulk paper goods and 24 tins of canned tomatoes. 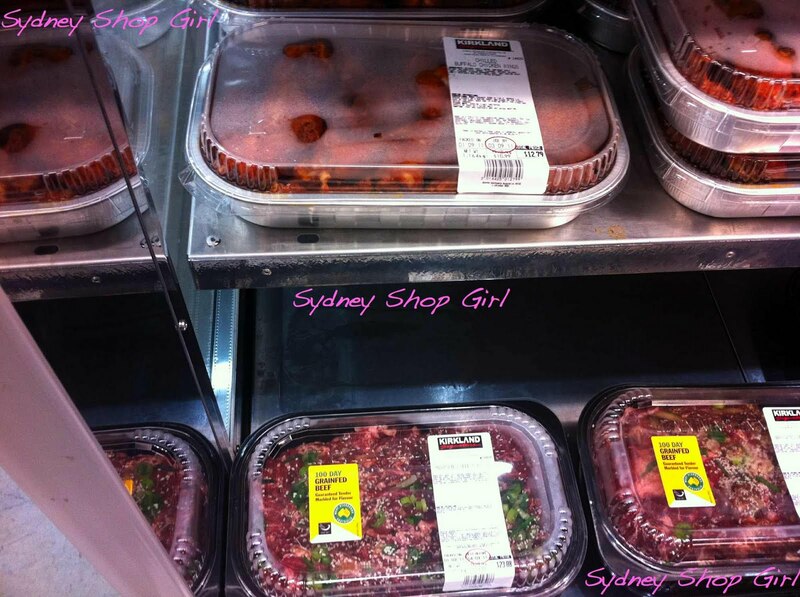 Anything that is an competitor to Woollies and Coles gets my vote. I've yet to hit Costco, I don't have much storage space and wonder at my ability to not buy the giant bags of things, but that discount Bolly really has me thinking!